Kathleen Stephens, a former U.S. ambassador to the Republic of Korea, is the William J. Perry Fellow in the Korea Program at the Walter H. Shorenstein Asia-Pacific Research Center (APARC). She has four decades of experience in Korean affairs, first as a Peace Corps volunteer in rural Korea in the 1970s, and in ensuing decades as a diplomat and as U.S. ambassador in Seoul. Stephens came to Stanford previously as the 2013-14 Koret Fellow after 35 years as a U.S. Foreign Service officer. Her time at Stanford, though, was cut short when she was recalled to the diplomatic service to lead the U.S. mission in India as charge d'affaires during the first seven months of the new Indian administration led by Narendra Modi. 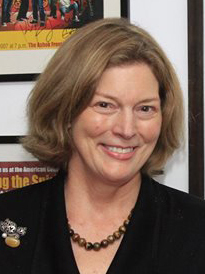 Stephens' diplomatic career included serving as acting under secretary of state for public diplomacy and public affairs in 2012; U.S. ambassador to the Republic of Korea from 2008 to 2011; principal deputy assistant secretary of state for East Asian and Pacific affairs from 2005 to 2007; and deputy assistant secretary of state for European and Eurasian affairs from 2003 to 2005, responsible for post-conflict issues in the Balkans, including Kosovo's future status and the transition from NATO to EU-led forces in Bosnia-Herzegovina. She also served in numerous positions in Asia, Europe and Washington, D.C., including as U.S. consul general in Belfast, Northern Ireland, from 1995 to 1998, during the negotiation of the Good Friday Agreement, and as director for European affairs at the White House during the Clinton administration, and in China, following normalization of U.S.-PRC relations. Stephens holds a bachelors degree in East Asian studies from Prescott College and a Master of Public Administration from Harvard University, in addition to honorary degrees from Chungnam National University and the University of Maryland. She studied at the University of Hong Kong and Oxford University, and was an Outward Bound instructor in Hong Kong. She was previously a senior fellow at Georgetown University's Institute for the Study of Diplomacy. Stephens' awards include the Presidential Meritorious Service Award (2009), the Sejong Cultural Award, and Korea-America Friendship Association Award (2013). She is a trustee at The Asia Foundation, on the boards of The Korea Society and Pacific Century Institute, and a member of the American Academy of Diplomacy.